Our Association is one of the larger philatelic associations in Roumania. 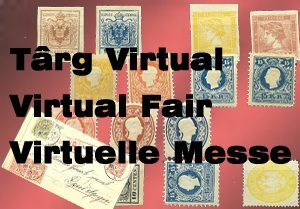 It is mainly fulfilling a cultural purpose and aims mostly to promote philately and its tradition nation-wide and worldwide. In order to carry its purpose, AFBv observes the regulations set by the International Federation of Philately (F.I.P. ), the European Federation of Philately (F.E.P.A.) and the Roumanian Federation of Philately (F.F.R. ).